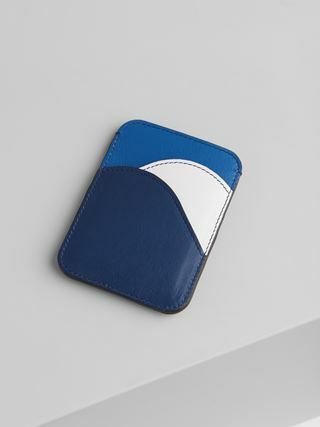 The Walden card holder is a compact one-pocket accessory with four card slots. 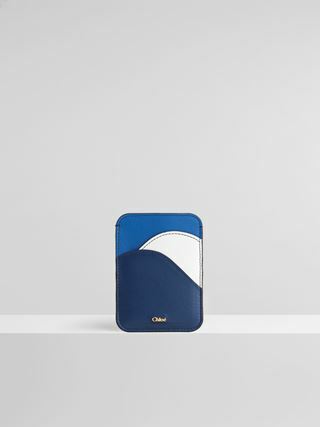 This version is crafted from smooth calfskin, with overlapping curved panels revealing complementary hues on the front. 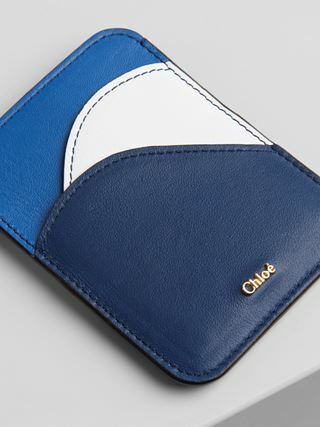 The Maison's distinctive raw edges add cool contrast, while the golden brass Chloé logo brings an elegant finishing touch.